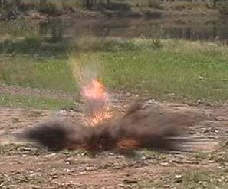 Established in 1989, Australian-based Combat Simulation Systems (CSS) specialises in pyrotechnic simulators and related devices for military training, operational applications and special effects. CSS manufactures products designed and developed to the ISO 9001: 2000 international standard. 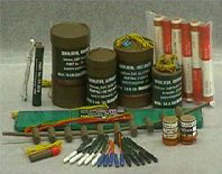 CSS pyrotechnics and simulators are used in a variety of combat training applications including damage control exercises, target detection, indication and retaliatory effects. Electric initiation is standard by a dedicated programmable system, or coupled to other remotely controlled target systems. Optional initiation includes wet or dry cell battery, or other improvised methods. 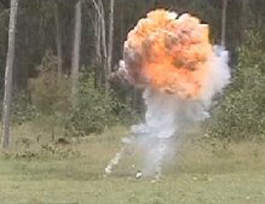 CSS also supply simulators with effects that vary from light to heavy mortar and artillery bursts with whistling option, and mine detonation effects. CSS simulators can also mimic primary and secondary effects for direct fire weapons, day or night-time single or chained cluster-bomb impacts, and even napalm strike effects. CSS products are used for testing equipment, safety training exercises and simulation effects for a wide range of pyrotechnic purposes. Initially focused on defence services, clients currently include the mining and construction industries, fire brigade services, and those involved with industrial testing, pyrotechnics, and the film industry. Distribution of CSS designed, developed, and manufactured products, extends to departments from both the federal and state governments in Australia; the manufacturing, service and entertainment industries throughout Australia, New Zealand, South East Asia, the Middle East and Europe.